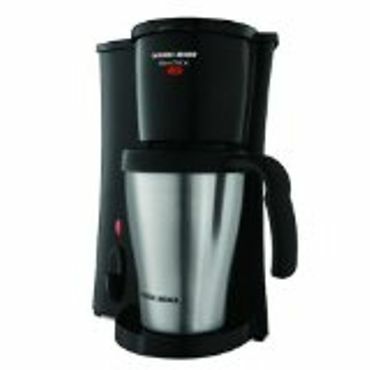 Bottom Line The Black & Decker DCM18S Brew ÔN Go is great for commuters, college students, or anyone who just needs the occasional cup to go because it brews directly into an included travel mug. It uses ground coffee, rather than pods. Cuisinart Burr Grind & Brew Thermal DGB-900BC 12 Cups Coffee Maker - "Chrome/Gold/Stainless Steel"